they have a solid business plan. how hard it is to start and grow a successful business. would help get the two of you to a decision. 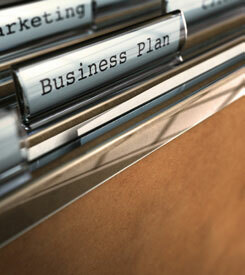 a business plan, this is the time to get some experience. chartered banks and, of course, in the bookstores. Canada annual publication Key Small Business Statistics. tax at least once in the previous three years. Is there a market for it and who are the competitors? Does your child have the relevant education and other competencies? first five years of the business? Have sales, cash flow and profit projections been prepared for the next five years? Are the projections reasonable in light of the assumptions? Have their backgrounds been checked? What are the terms of the shareholders’ agreement? Who has decision-making and signing authority? How long will it take for the company to break even? Will there be any lenders ahead of you? of return on your existing portfolio? offspring will have other opportunities; you may not. goes south for lack of due diligence. remedies in your own interest.